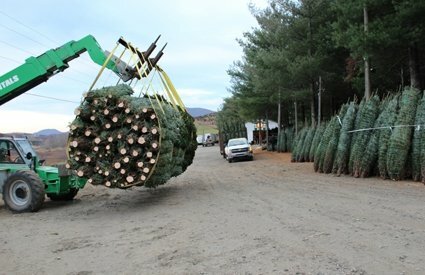 Bonnie bales 5 trees a minute. 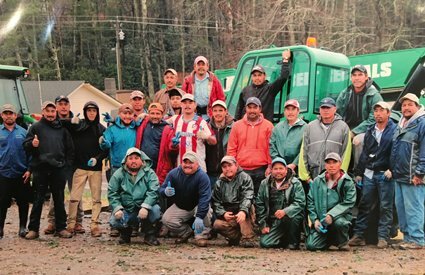 He's perhaps the best operator in the NC high country! 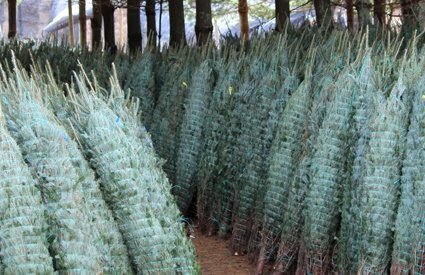 Nice fresh 5-6 and 6-7 foot premium grades. 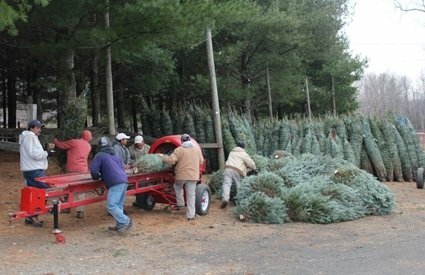 Hudler Tree Farm is a continuation of a family business that started in 1992. 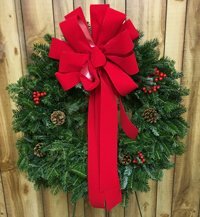 Owned and operated by Dale Hudler, our customer is the private retailer. 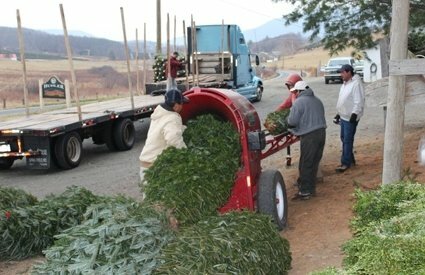 Our operation has over a million trees to choose from in western North Carolina. 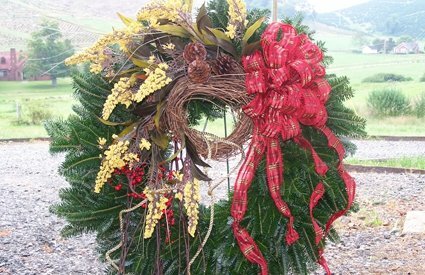 Located in West Jefferson (Ashe county), Hudler Tree Farm specializes in fulfilling detailed Christmas tree and wreath orders to private and smaller customers. 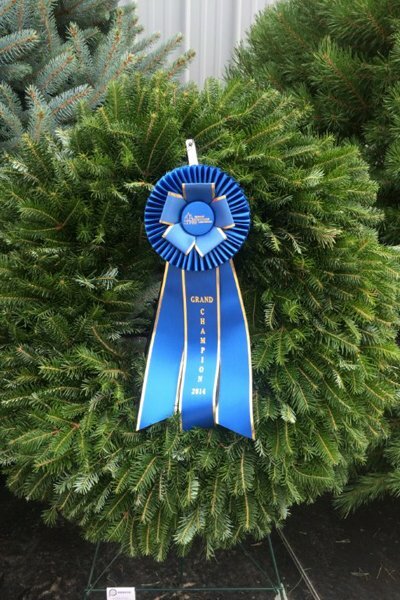 We supply high quality fraser firs, as well as wreaths and roping. Our experenced staff focuses on the details. 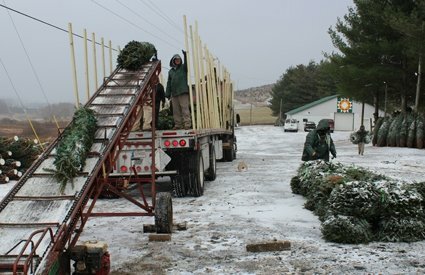 High customer satisfaction comes from superior tree quality and service. This has resulted in lifelong friends as customers. 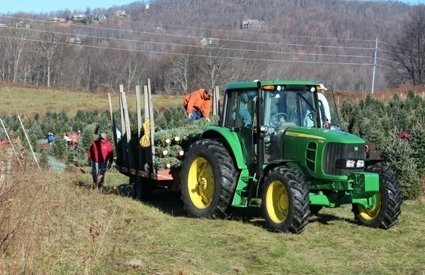 Dale is an active member of the North Carolina Christmas Tree Association, the NCGA, and participates in the USDA Christmas tree Check Off Program. 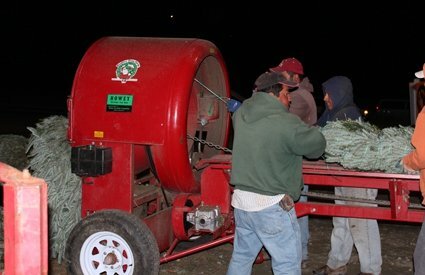 He is involved in state safety programs and belongs to various state Christmas Tree Associations. "Keep it Real" in 2017. 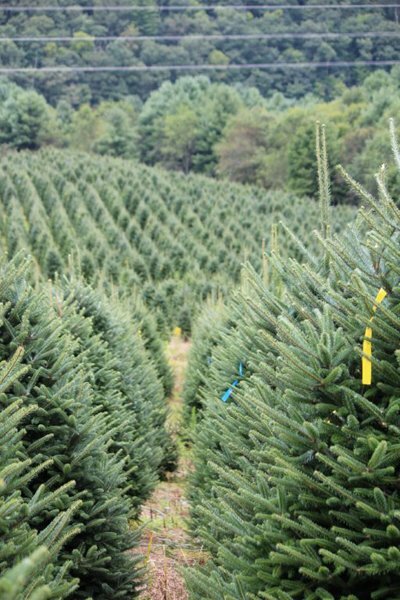 Hudler Tree Farm provides additional tech support for your retail success. 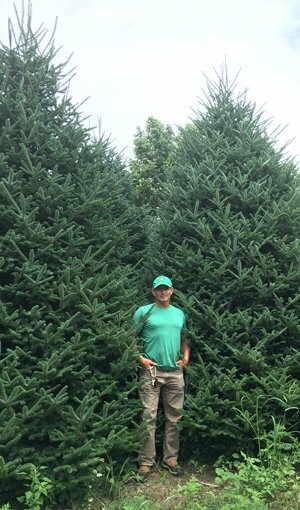 Dale Hudler travels to trade shows and Christmas Tree meetings throughout the year. If you can't visit our farms, come meet us a trade show. 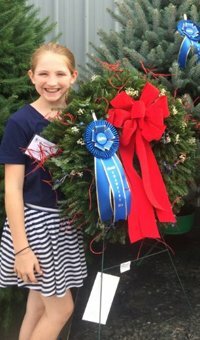 Dale just completed the 2017 shows. We will post our tradeshow for 2018 soon. 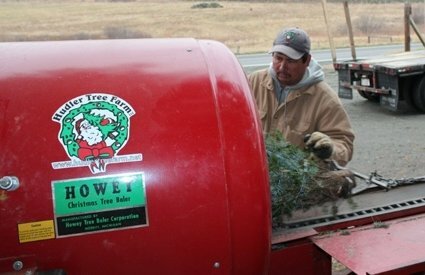 Email us at hudlertreefarm@skybest.com for our 2018 price list. how we can help you succeed in your retail endeavor! 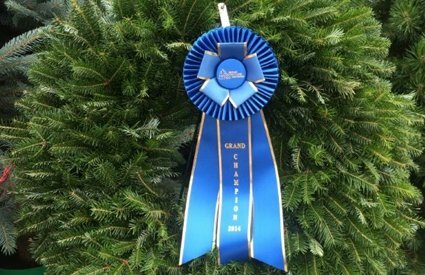 2013 North Carolina Christmas Tree Association Tree and Wreath Champion! 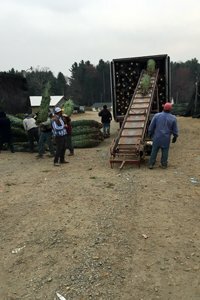 We can and often arrange freight for your Chirstmas Tree order! Ask us how!